The European Commission’s vice president in charge of the Energy Union, Maroš Šefčovic, said “[batteries] development and production play a strategic role in the ongoing transition to clean mobility and clean energy systems”. Peter Nemcek, cyberGRID’s VP of R&D will speak at the conference “En.odmev 018: Digital Transformation in the Energy Industry”. cyberGRID is a key contributor to project Magnitude, which was kicked off in October of 2017. This new H2020 project is based on seven real-life case studies of multi-energy systems located in different European countries with different regulatory and geopolitical environments and different technological development levels. 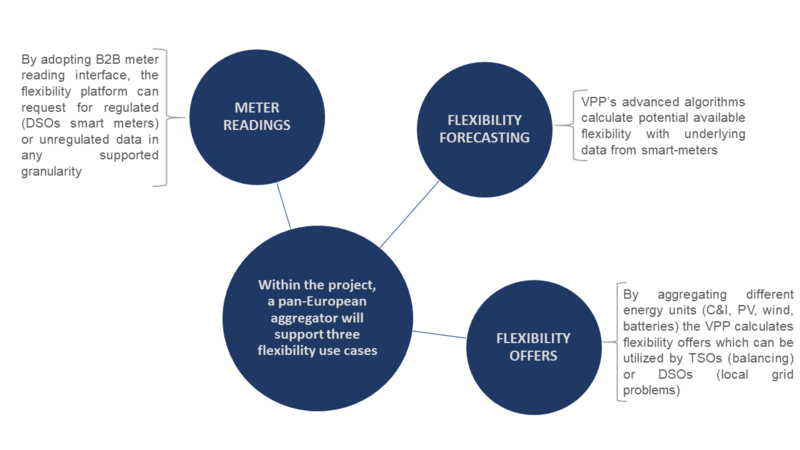 FutureFlow links interconnected control areas of four transmission system operators of Central-South Europe which today do face increasing challenges to ensure transmission system security. Fossil fuels have a very limited future. Even gas seems to be nothing but a transitional fuel as prices for renewables and storage technologies keep falling and new technologies are being developed to support a much more flexible grid. Project FUTUREFLOW leads the way. Andraz Andolsek, project manager at cyberGRID, presented project FutureFlow at the SAP Utilities Powerstorm Event from Oct 25 – 26 in Warsaw, Poland.